I know someone on the keto diet that has lost 30 pounds. It really seems like a diet that works. Thoughts? The keto diet encourages its adherents to get the bulk (80 to 90 percent) of their caloric intake from fat. Essentially, it is an extreme version of the Atkins™ Diet. 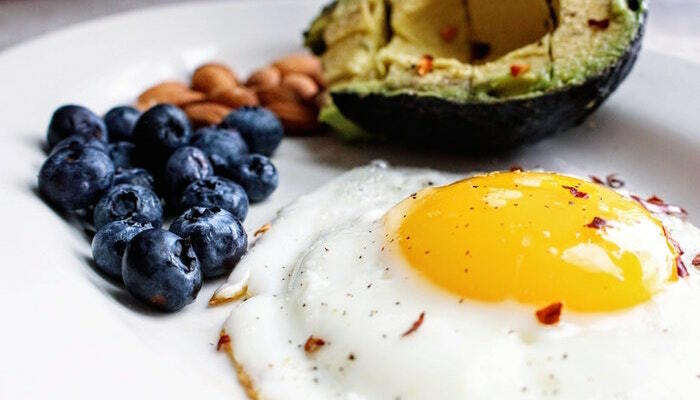 By significantly limiting the caloric intake of carbohydrates, the body is deprived of its normal fuel source (glucose) and forced to turn its fat stores into ketone bodies (i.e., ketosis). So too has the controversy. Is dangerous if you have diabetes. Is bad for heart health and will raise cholesterol. Is not good for your gut. Causes or worsens fatty liver disease. Is not good for long-term weight management. My personal thoughts? In no particular order, here are three. Every time I hear about someone’s success on a particular diet I cannot help but wonder if they have lost weight simply because they are paying more attention to what they are eating (and eating less of it). That is, just because you’ve lost weight while on diet X, your weight loss may, in fact, be caused by something else. Of course, given that it would be hard to sell a diet titled: “Move more. Eat less” or “Track your Food,” we create programs and platforms that encourage people to spend their money on all sorts of excellent stuff. Although it’s more complicated than “calories in – calories out,” calories matter and if you eat more than you need, you’re likely to gain weight. Conversely, if you eat less than your body needs, you’re likely to lose weight. I realize that given the whole low carb trend this will be viewed as sacrilegious but, when I hear that someone has lost weight on their particular diet, I cannot help but wonder if folks are losing weight simply because they are, well, consuming fewer calories. The word “diet” stems from the Greek word “diata,” which means “way of life.” Of course, the reason so many diets fail is that they are simply not sustainable long term. There are many reasons for this but one that tops the list is unhappiness. If you’ve just committed to a diet/program that will make you unhappy because of the food you’re going to miss, chances are you’ll fail on that diet. If, however, eating pizza with a cauliflower crust makes you happy then God bless. I’ll leave it to you to sort out whether the keto diet is right for you, however, if you’d like to shed a few pounds, I suggest you start by tracking your food. If you’re seeking inspiration, consider checking out this interactive 2015 article in the New York Times titled Diary of a Food Tracker. Using the personal diary history of Steven Lochner, the article effectively shares the struggles, strategies, and successes of an everyday guy trying to lose weight and keep it off. Before I check out for the week and leave you with a music selection, in case you take salads to work, I wanted to share a product I found made by Haks, single serving organic olive oil & lemon dressing packs. They are 160 calories and don’t contain any sugar! As to the music…here is Hippo Campus with their song “Way it Goes.” Hope you like it.